2017 is the Year of the Beaker! 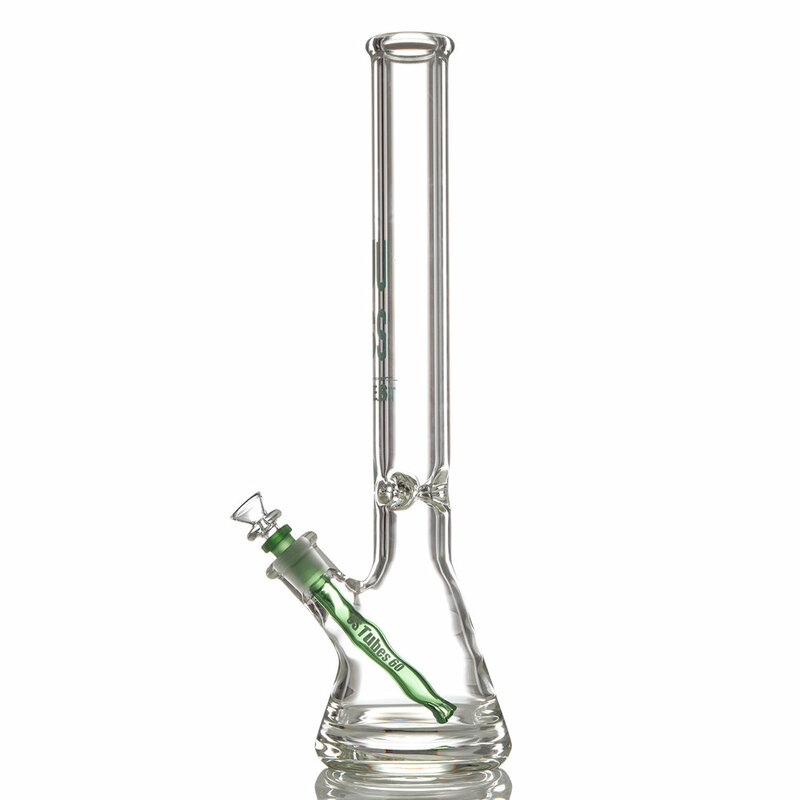 Over the course of our companies life we have always been behind on our beaker production. 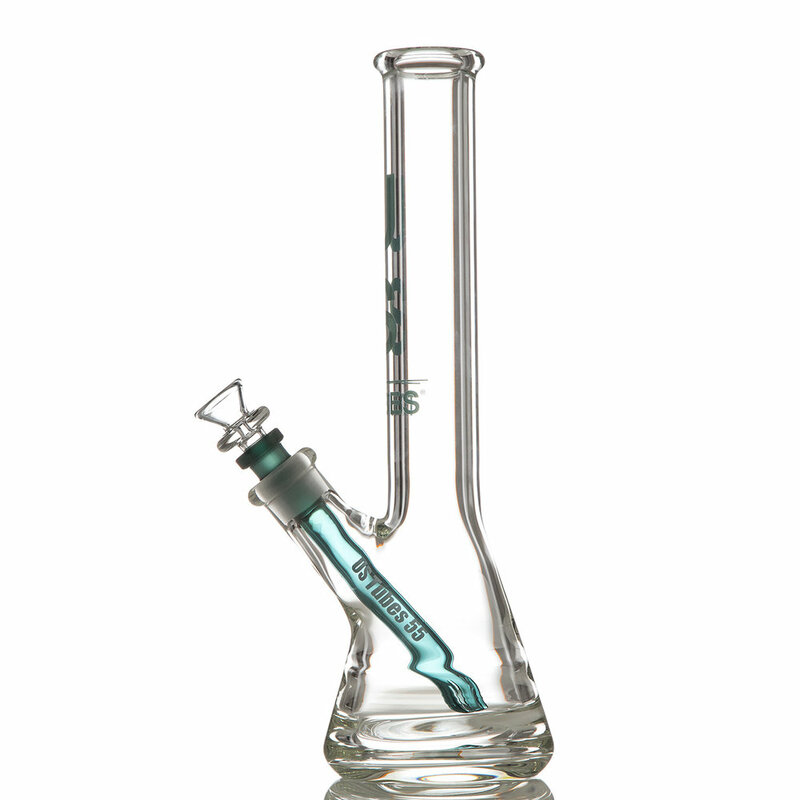 It's a constant for us, it usually feels like we will never meet the demand for our 9mm beaker! So this year we have decided to focus more than ever on our classic beaker designs. Hence we are dubbing this the Year of the Beaker!! 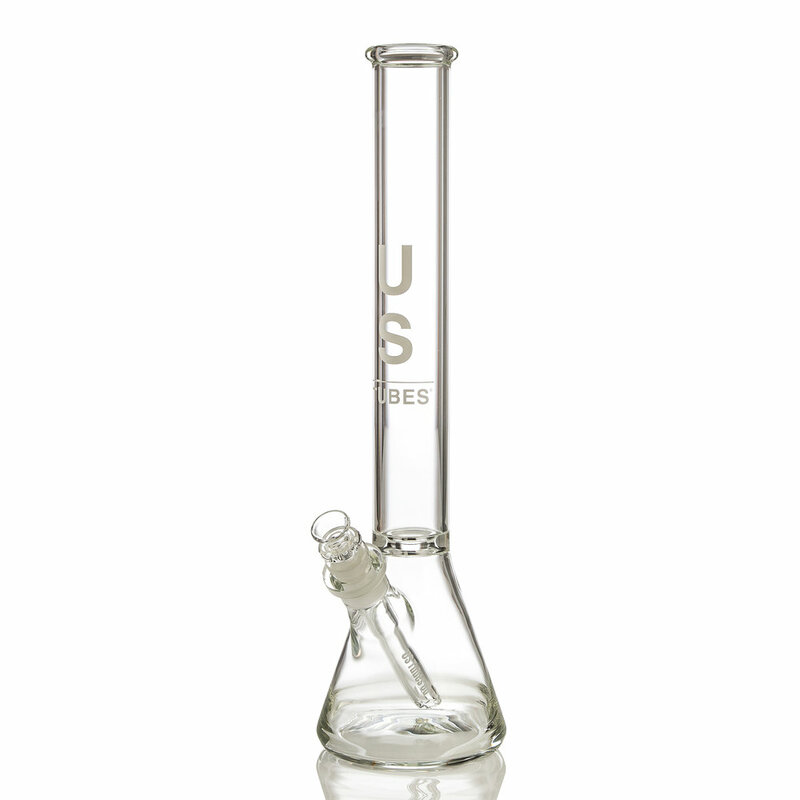 Our Beaker 40x7mm is 12" tall. These are available on a limited basis! An extremely thick tube for its size. This specialty 40x7mm tubing is rarely available. With a thick reinforced joint this tube is ready for anything. 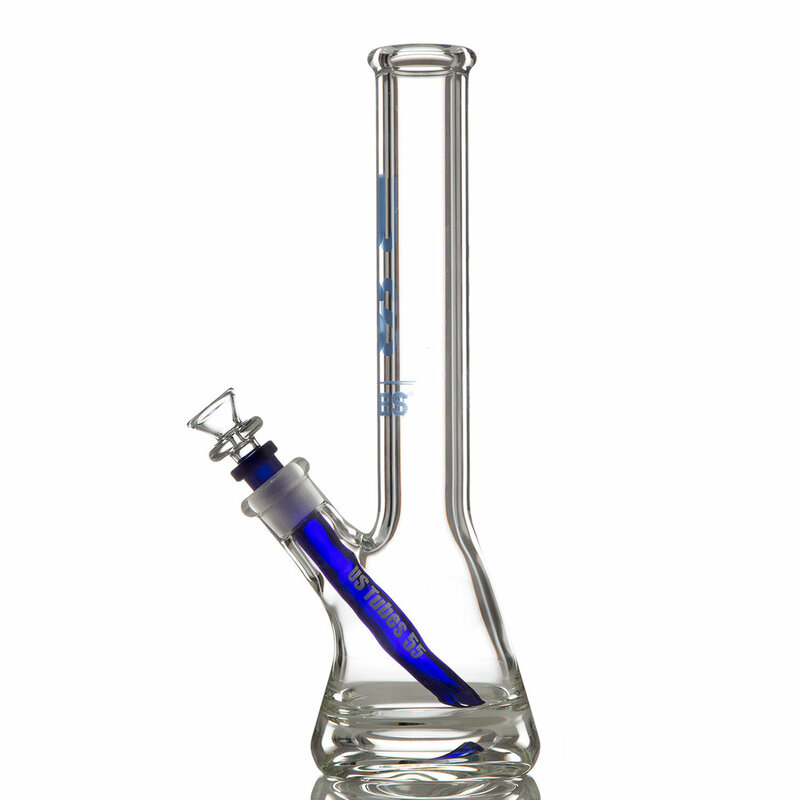 Our siganture piece is the 9mm Beaker they are avaiable in 13" and 18"
Our Beaker 32mm and Beaker 40mm are great options for quality at a reasonable price point. Posted on July 6, 2017 by US TUBES and filed under New Product Styles and tagged Beakers. Adding some curves for a change! 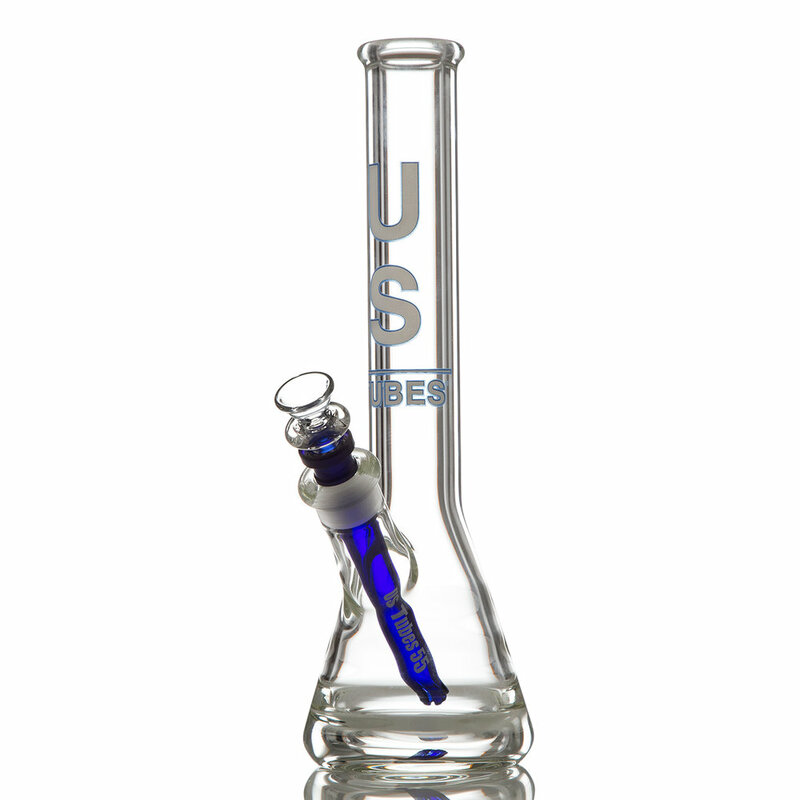 We have an inherently methodic approach to every piece that we create as a company, this comes from our background as scientific glassblowers. Engineering processes to ensure the closest possible variance in the outcome is something that we hold close to heart. So it is with a gleeful, childlike grin that we tell you we threw caution to the wind, embraced reckless abandon and added curvature to our lineup for basically the first time ever! 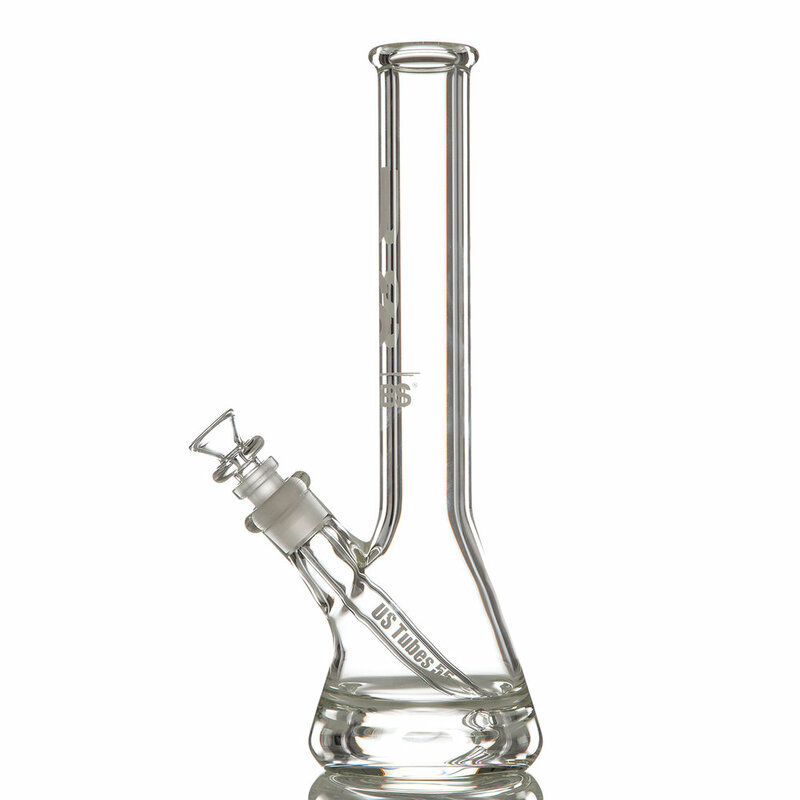 We've found that the added volume around the perc chamber effectively increases flow and displaces the associated percolation, effectively filtering the smoke even more thoroughly than before! 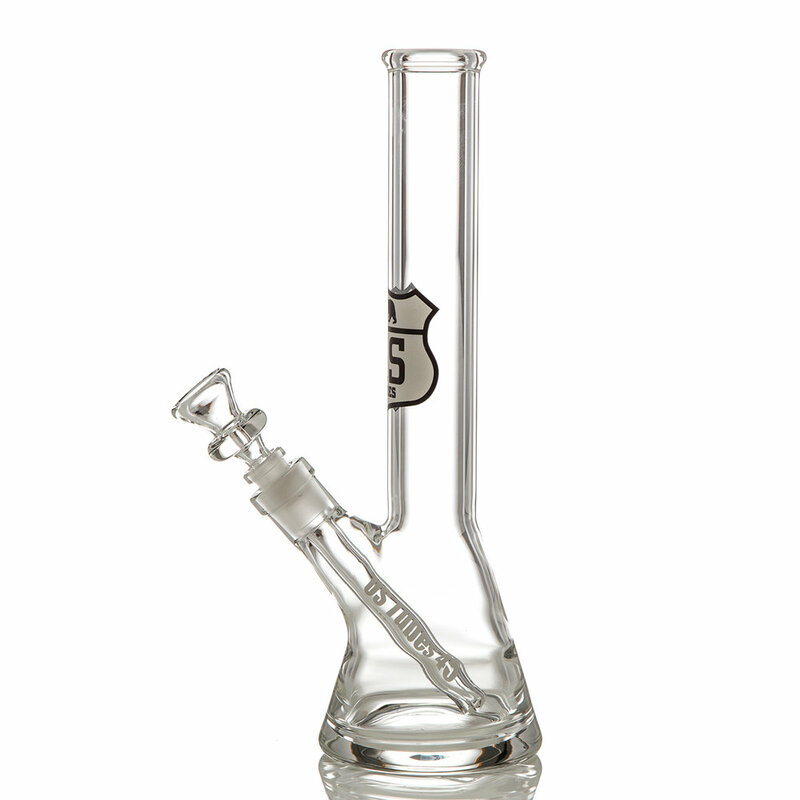 Without the perc chamber, the egg shape still has a function. It stops any possibility of splash getting to the user, adds volume, and gives a unique pull. 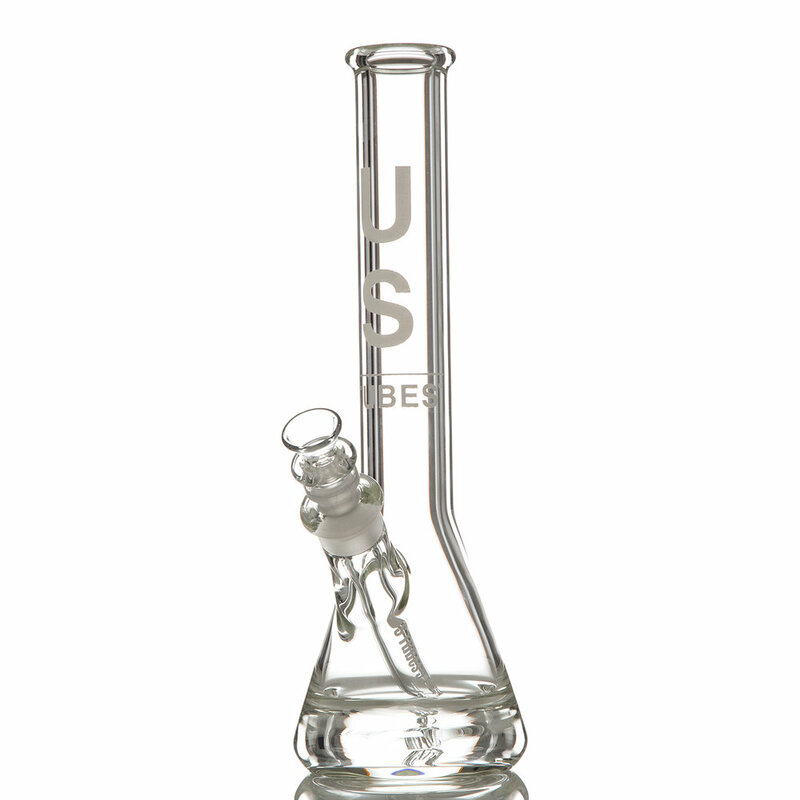 So although we designed this change with our perc pieces in mind we couldn't help but make some regular models as well. Posted on September 7, 2016 by Peter Robinson. We're super excited to be announcing an absolutely HUGE SALE that we are having at Fuzion Glass Gallery, in Santa Barbara, CA. Easily one of the nicest store/galleries in the industry, Fuzion was also one of our very first accounts for US TUBES. We are honored to work with them and see first hand the incredible expansion of their gallery. We will be offering CRAZY, once a year type of discounts up to 60% off regular retail, to anybody who can make it out in person. If you can't make it, but want to take advantage of the awesome savings, then call Fuzion on the day of the sale and we can try to help as many people as possible that way too! Their phone number is (805) 687-6401. We will also be offering a select number of Halloween themed pieces in Orange/Black color combos. These will be limited and available on a first come first serve basis! Posted on October 15, 2015 by US TUBES. We were excited to mesh our scientific style with the fun and unique styles of Ashley Ann Austin, AKA Triple A. Female glass blowers are still a much smaller percentage of our industry so we were glad to have the chance to collab with Ashley. This series of Collabs were put together on our standard mini beaker model. Featuring our signature non ground joints there are NO ground parts on these pieces leaving a clean aesthetic which compliments Ashley's vibrant attachments. A close up of Ashley's fume pin wheel marble. 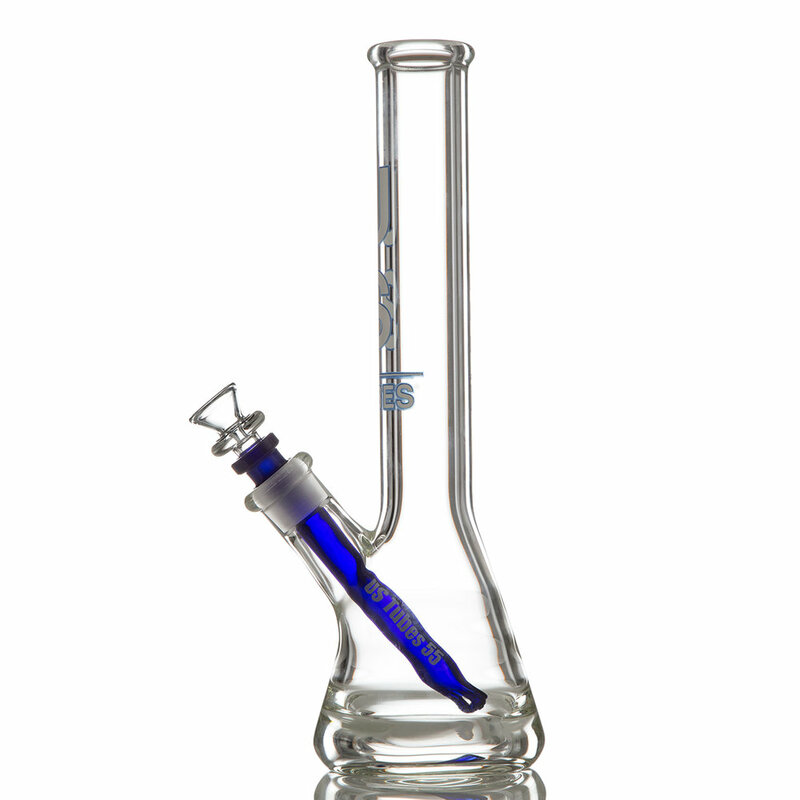 All these come with Two hole removable diffusers for an amazingly smooth function. Posted on July 23, 2014 by US TUBES. 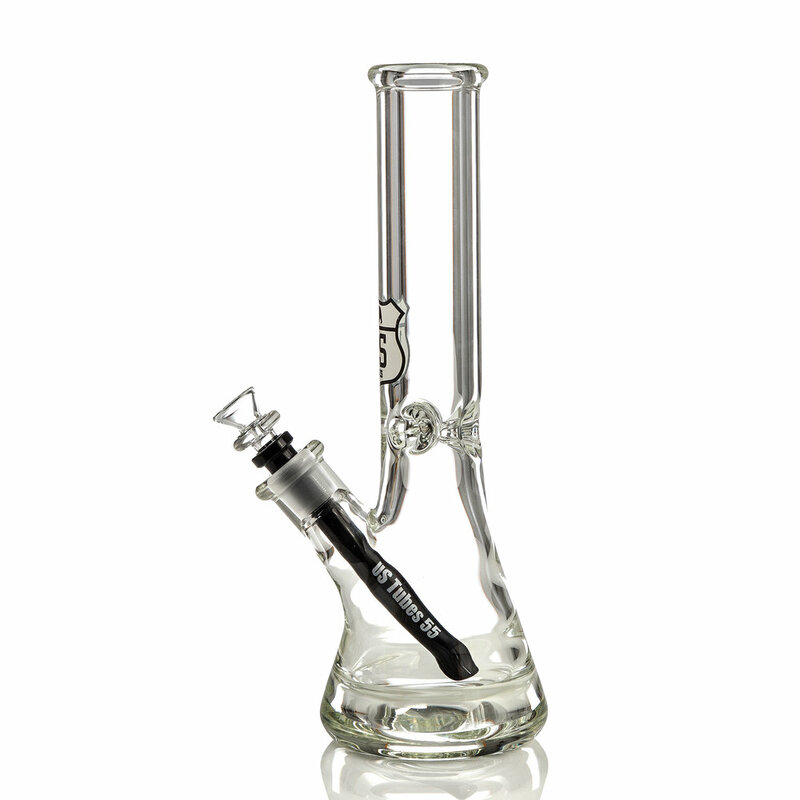 Our new Hybrid features an innovative combination of the best features offered by a beaker tube and a straight tube. 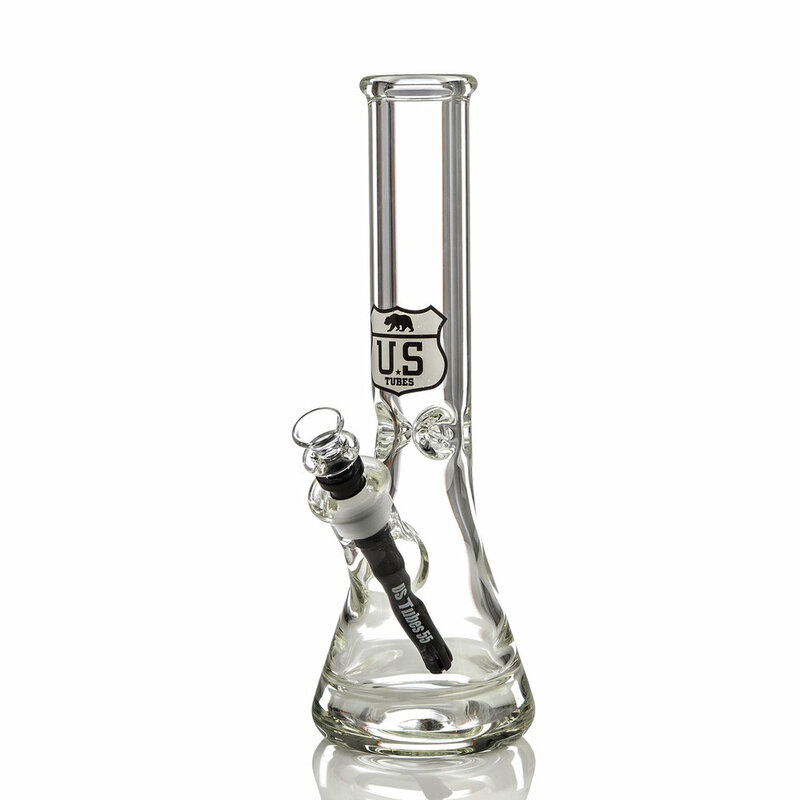 Newly released to certain retailers in the United States, the Hybrid has changed the classic tubes game. 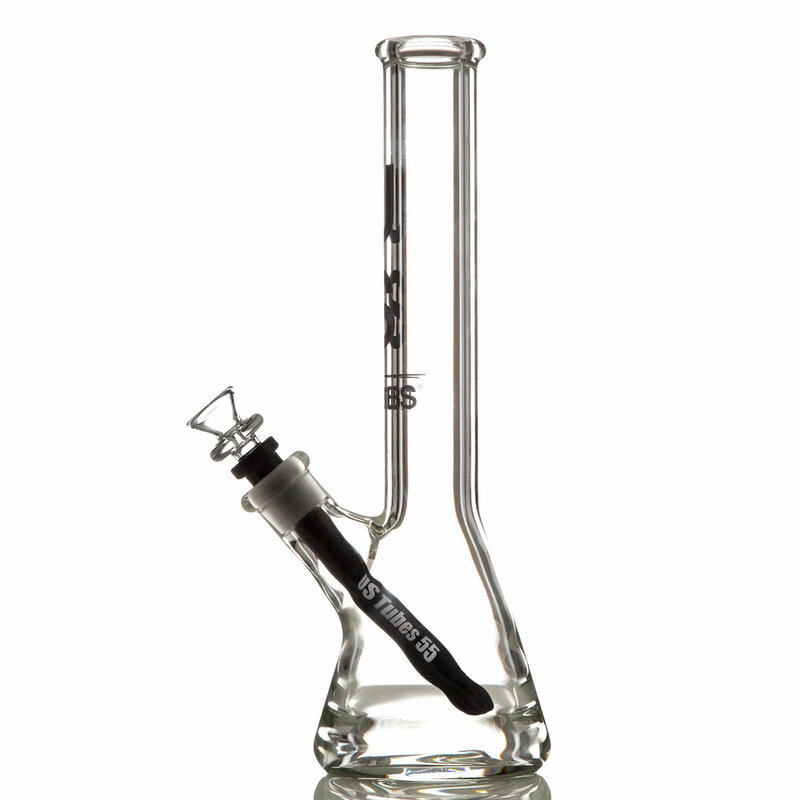 We love the Hybrid for it's quick clearing capacity and its increased water volume compared to a straight tube. 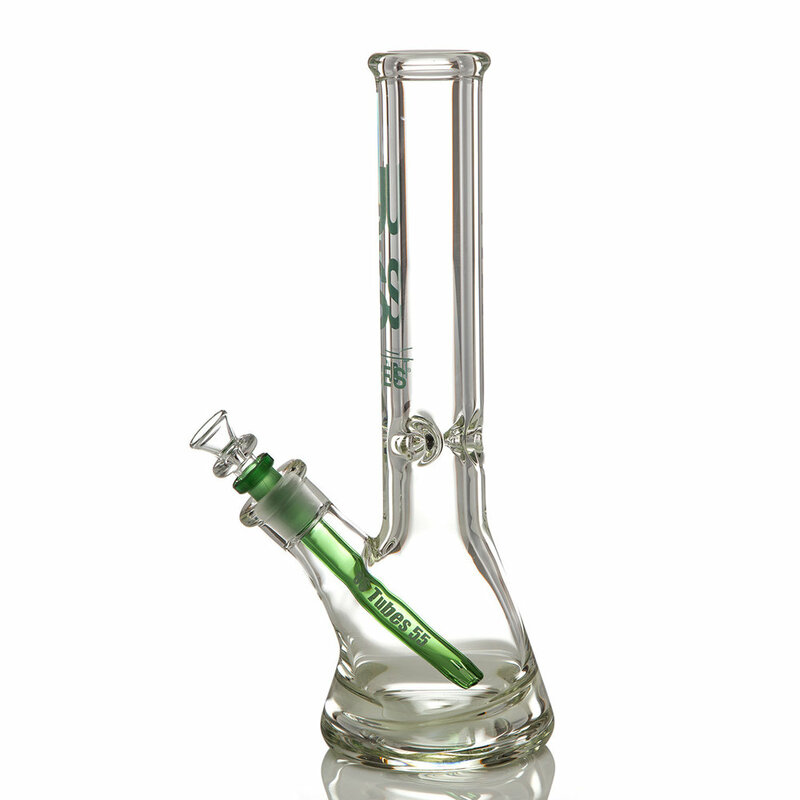 The Hybrid is available in a standard 7mm model and a reduction model which features a 60x7mm base for extra airflow. Ask your local retailer about the Hybrid or check it out online. Posted on July 10, 2014 by US TUBES.